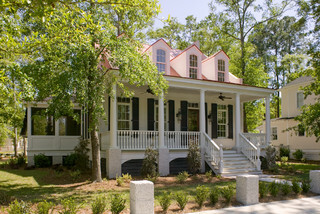 Traditional raised southern home that uses a custom stained wood louver. 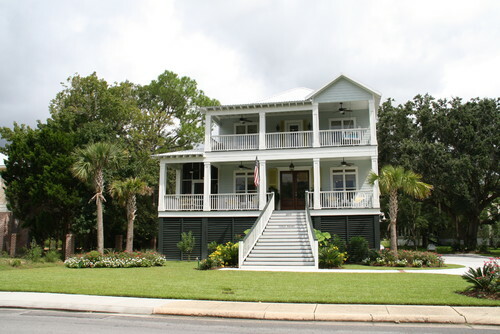 Typical beach style exterior that uses louvers boxed inside of a frame. The horizontal louvers and balusters work well together.